Okay, Waldo isn't actually missing but I have been. I am painfully aware that it's been too long between posts this year - will be in a position to do better soon, I am sure. Currently I am in the middle of moving. 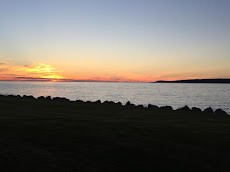 I am leaving my beloved Northern Michigan for a place in the southeast portion of the State. Even so, it's a good move and I am more happy than sad about it. I will be closer to family and the new home is a marked improvement over the one I am leaving. The area I am moving to is a village surrounded by a lot of rural area, so I will still have the trees, hills and water that are much of what I love about where I've been living.